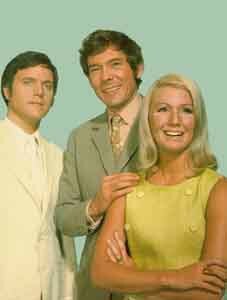 Randall & Hopkirk (Deceased) stands as one of the best of the 60s ITC shows. And although it ran for only one season it is still very fondly remembered - partly as a result of a recent-ish BBC re-run but also because of an excellent series of DVDs from Carlton. Anthony Clark asks why is the show so good..? 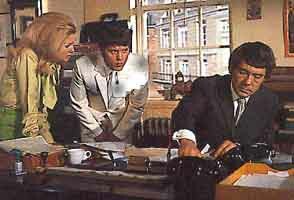 The basic premise for Randall & Hopkirk is simple: two down-at-heel private detectives - Marty Hopkirk and Jeff Randall - are scratching a very poor living when a potentially very profitable case comes up. But before the two men can capitalise on their good fortune Marty is killed in a car accident. Jeff, and Marty's widow Jean, are distraught at the loss but the deceased private eye just won't stay dead. Marty finds Fay dead in her apartment - the doctor diagnoses a heart attack but Marty isn't convinced. However, before he can discuss his misgivings with Jeff he is run down and killed by a hit-and-run driver. 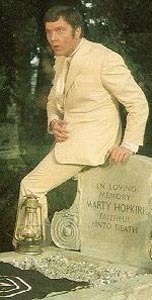 And now for the twist - Marty comes back as a ghost to help track down his killer but only Jeff can see him. Marty: "Of course I'm dead!" Jeff: "Then you're a ghost?" Marty: "I suppose I am, really." Over the following 25 episodes Jeff and his ghost partner, Marty, solve a series of decidedly odd cases in their own inimitable style. Pure enjoyment. Note: Best to avoid the recent remake.